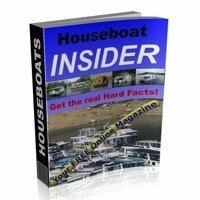 Houseboat Toilets - What's a good Head to use on House Boats? So many choices for a marine head, or houseboat toilets. When it comes to houseboat toilets, what is a good head to use onboard? 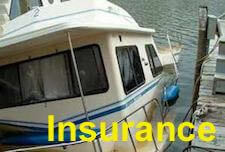 We are purchasing a 2001, 50 foot houseboat and would like to get rid of the black water tank. We have tried an Incinolet (incinerating toilet) of sorts, and it was not cost effective or worked as the instructions explained it would. Would like some input on the subject. Thanks, MaryAnn. Well MaryAnn, thanks for sharing your question with us, since it's not a exciting subject, yet is of primary importance when it comes to a achieving a great houseboating experience. My first question would be why do you want to eliminate the black water tank? Is it defective, or creating an odor problem? 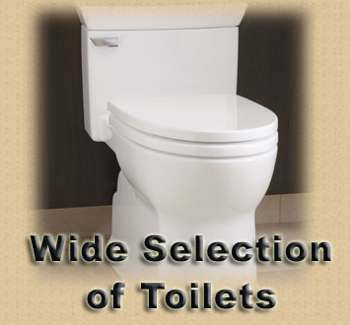 The reason I ask, is that the typical marine toilet or head that empties directly into a black water waste tank, and then pumped out when full, is one of the most popular, simple, common, and inexpensive choices available. If you are looking at alternatives, you can have look at the marine composting toilets for houseboats that some of our readers have. When it comes to human waste, in reference to the boating industry, you have laws about the treatment or dumping of the waste. For a more in depth look at the Marine Sanitation Devices or MSD choices or alternatives, have a look at Selecting A Sanitation System. There is also a good explanation about Type 1, 2, 3 MSD (Marine Sanitation Devices) and it discusses the regulations and options available. Lastly, hopefully some of our readers will share and post comments about their houseboat toilet or head choices and experiences. Feel free to use the "Click here to post comments." link found near the bottom of this page. 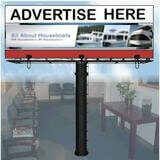 Comments for Houseboat Toilets - What's a good Head to use on House Boats? Use Canndure, the best product out there for eliminating odor in holding tanks. We rented a houseboat a few years ago for 6 nights and after a couple of nights the toilet odor was noticeable and it just kept getting worse to the point you didn't even want to go in the washroom. We just came back from a houseboating trip 14 people for 4 nights and I brought my own toilet chemicals (Canndure) and put it in right away, no odors at all even when the lever was opened. I have used this product in my RV's and my boat has a porti potti and it works extremely well in both of them, and it actually breaks everything down as well. Great product, made in Canada so you may have to look at Canadian marine stores online to find it. Anonymous asked about emptying composting toilet contents. First, "composting toilet" is a misnomer. Real composting takes months to complete. What our head does is to separate solid waste from liquid. The liquid waste is funneled into a plastic jug that we empty frequently, every day or so, a quick and easy chore, rinse the jug out and replace it. The solid waste falls directly into a larger bucket, in which there is a churning apparatus operated by a removable crank. Therein is a gallon or so of sawdust, coconut fiber, peat, etc, which coats and dries out the solid waste. The resulting odorless lumpy stuff is eventually transferred easily to another bucket for further decomposition, and the primary bucket is quickly replaced in its original position. 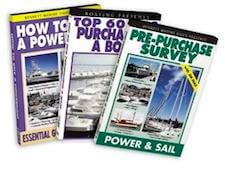 It is surprisingly inoffensive, much less so than maintaining a kitty box, just as easy as taking out the galley trash. Another vote for composting heads! Add my hearty cheers for our composting head! We have had it for a year and a half, and have never (yet) had any problem with odor, disposal, overflow, bugs, or mechanical failures. Understand, I am not your crunchy granola type gal, not a greenie fanatic. But having had one too many whiffs of traditional heads and holding tanks, heard horror stories of macerators tangled, joker valves broken and no replacement at hand, holding tank full, stinking hoses, inop pumpout stations, pumpout logs-seriously?--, out of chemicals, and oh, dear, here come the potty police, I said NO THANK YOU to all of that. SO glad we did. I wrote a longer assessment elsewhere, but do give the composters a serious look. Our C-Head cost $500 all told. it is no bigger, wider or taller than our home toilet. It is a snap to tend, can be cleaned and emptied in seconds, no disassembly required. Ours uses an ordinary disposable gallon jug for liquid waste, so replacements are always available. We are using cypress sawdust shavings as our primary desiccant, as we have it readily to hand, and free, but coir is compact and not expensive. It might not appeal to every boater, but for this pair of retirees, it serves well. Les, on my home sewer plant I have an air pump that pumps air in to the septic system. Would a small air pump work on the houseboat system and give the system the needed air flow to stop the smell? Sniff, Sniff....eeew! Yup, it's happened to almost all of us if you've been in boating for any length of time. I have had it happen on at least four boats. One was a 60 foot tug that the bottom of the tank ruptured. That was a real problem. We had to cut out three decks and lots of steel to even get to the tank. Then get a crane to lift it out and run sewage all over the place. Eeeeww! Nasty stuff. All you can do is take it one step at a time. Keep some bleach in a spray bottle for cleaning hands and tools and if you can use a dockside pumpout to clean the bilge and tank prior to and as you work it will be a great help. Big tanks have big issues. Be careful in closed in areas. Gasses are dangerous when confined in a small space. It may be a mute point but don't allow anyone to light a cigarette or other open flame in the hold while working. The 'Boom Factor" could build up. You wouldn't like what that does. Just wondering about composting marine toilets? Our friends have a composting toilet at their cottage. However they must rotate the bin each time they go up on the weekends. How does one do that on a houseboat, and how do you extract the compost? Sounds like a wonderful idea. Does it work for winter liveaboard in cold climates? 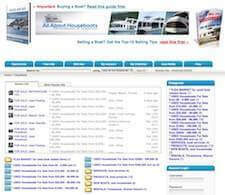 I love this site, and have sent many fellow houseboaters to it. There are many houseboaters using the marine composting heads with great success. Thanks for the kind words and support. I have worked for several houseboat builders in a technical capacity over the last 25 years and also for 15 years in houseboat rental operations. The dank nasty smell associated with on board toilets and holding tanks is primarily because waste products in the tank quickly turn anaerobic in the enclosed atmosphere of a sealed (or nearly sealed) holding tank. Even after a pump out and fresh water rinse, enough micro bacteria exist to re-start the smelly process quite quickly when new "fresh" waste is introduced to the tank. Few houseboat builders over the years have paid little attention to the importance of providing adequate ventilation to a built in holding tank. They are often "outta sight'n outta mind". 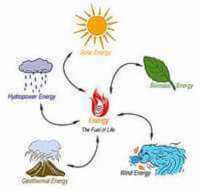 In short adequate air flow INTO and OUT OF the tank is the best way to reduce, to a large extent, the problem of waste turning anaerobic and smelly. Examine the top of your holding tank and you should see one or more inlets from the head/s. One pump out pipe and hopefully at least two vent pipes. Inadequately sized vent pipes could well be the problem to a persistently smelly tank. Even if the boatbuilder has vented the tank with a couple of pipes they may only be 1/2" diameter which is inadequate to say a 50gal or even larger tank. I have seen 100 gallon holding tanks with two tiny 1/2" pipes fitted both at one end of the tank which is laughable. The pipes are often not secured adequately and will develop sags over the length which can often get blocked by bug nests deck rinse water etc and act like a water /air trap preventing the flow of oxygen rich air across and over the surface of the tank. They may be routed snakelike over and under to avoid other equipment which may again impede the flow of air. Few, if any, production managers will get down there in the bowels of the boat (pardon the pun) to check for adequate pipe venting and routing! The air flow is not simply to ventilate the tank it performs another more important function of keeping the waste aerobic or "fresh". I know it seems at odds with common sense to add as much ventilation to a "smelly tank as you can, but it really does work. Most "reasonable" vent systems try to provide a cross flow of fresh air to the tank and when a boat is berthed in a marina that may be tough to accomplish, hence my advice to make the vents as large as you can or double up on the number of pipes. This is a long post about a subject best not discussed over dinner but remember good airflow helps a great deal, pump out and rinse often and check those tank vents! After years of experience I have found that fresh waste smells a lot less offensive than old septic waste. Well Les, thanks for sharing your post with us. We have an on board toilet - the non composting type. pump out in some places is costly ($45) and in other places not so costly. MaryAnn, in my opinion composting toilets are the only way to go. Right now I have been out for 6 weeks, and haven't been into a marina. On a houseboat without a composting toilet, I couldn't do this, I would be constantly needing to go for "pump-outs". They are odor free, and are very low maintenance. The initial cost is pricey but well worth it. On board I have a composting toilet, plus a composter for the garbage, and I think they are great. Roger.